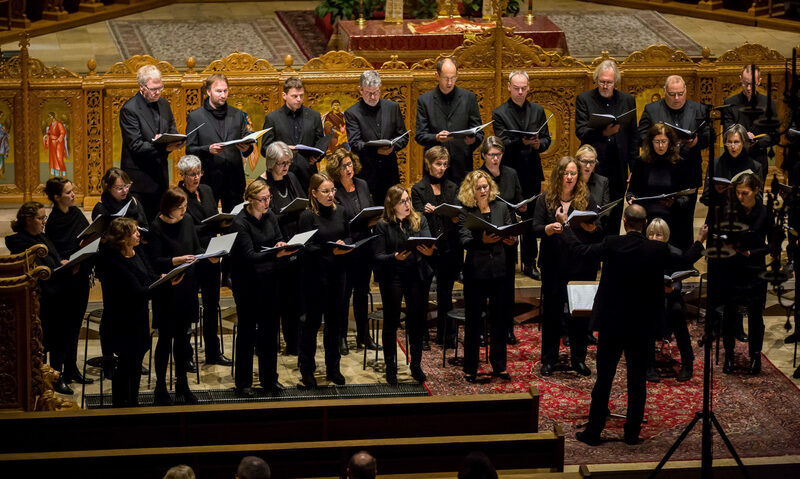 Our repertoire contains religious and secular choral music from the Renaissance until the present. The main repertoire consists of a-cappella pieces, motets, masses and madrigals from such composers as Dufay, Palestrina and Byrd (15th/16thcentury) all the way to contemporary composers, such as Penderecki, Lauridsen and Whitacre. We also regularly perform large orchestral oratories, masses, symphonies and requiems by e.g. Mozart, Mendelssohn, Brahms and Mahler. You can get an idea of our complete repertoire by browsing our concert-chronology.